A popular versatile herb, Ideal accompaniment to Lamb, also great with boiled potatoes and peas. Health benefits - can also help aid digestion. 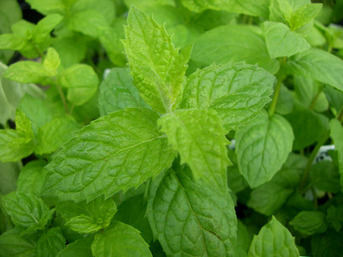 Mint is a hardy perennial and a voracious grower. It will do well in both sunny and shady parts of the garden Mint prefers moist well drained soil, so will probably do better in a semi shady position where the soil wont dry out too readily . It will also thrive in pots; if you have a small garden it is recommended that you grow mint in a pot to prevent it from spreading and taking over the other herbs.